This entry was posted in Germany Immigration Visa and tagged Germany Job Seeker Visa Process germany visa Germany Work Visa jobs in germany on May 26, 2016 by Blog Author. 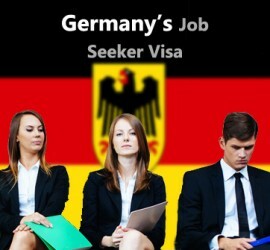 This entry was posted in Germany Immigration Visa Job Seekers and tagged Germany Germany Job Seeker Visa Process Germany job seeker visa requirements Germany job seeker visa work permits How to apply Germany job seeker visa? job seeker visa Visa work visa on March 5, 2014 by Blog Author.